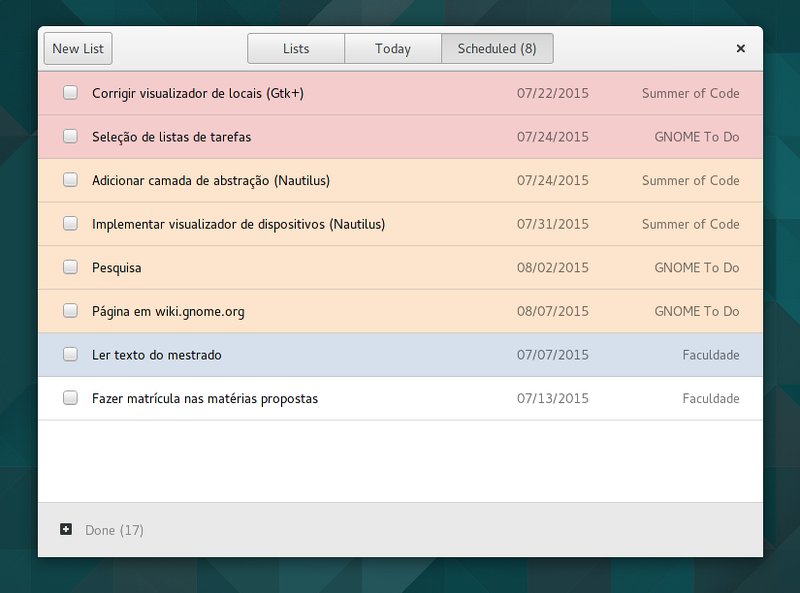 The most noticeable feature of this release are the “Today” and “Scheduled” task lists, visible from the main view. They are always updated and very handy! 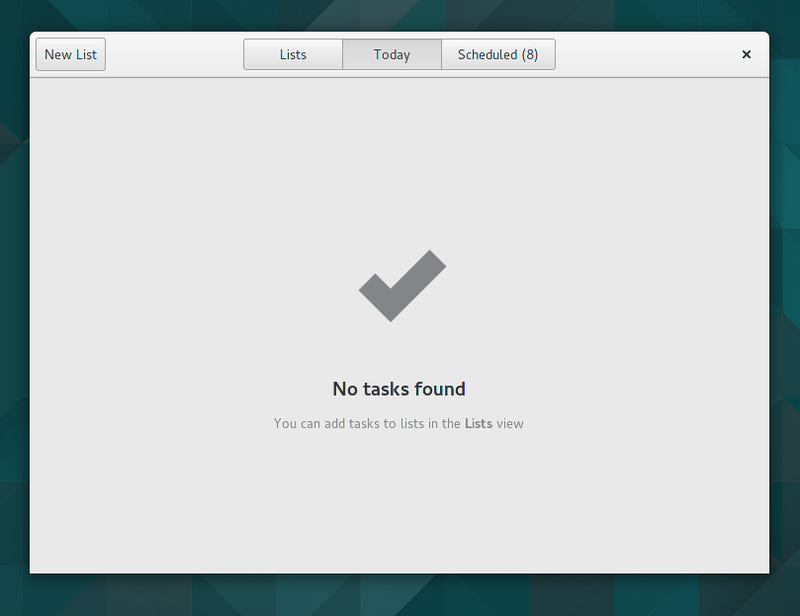 Fear not; it’s using the new GtkFlowBox widget. Works perfectly. If your phone can sync with Google tasks, then it’ll work fine. Uau! Que blog legal. Gnome To Do parece ser muito da hora, haha. Parabéns e obrigado por seu trabalho incrível. Cool, those screenshots look great. Depends whether your distribution ships it pre-packaged or not. You can always use JHBuild for using the latest available version.